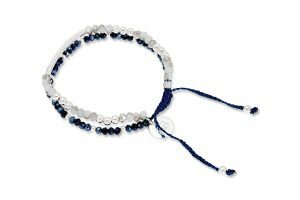 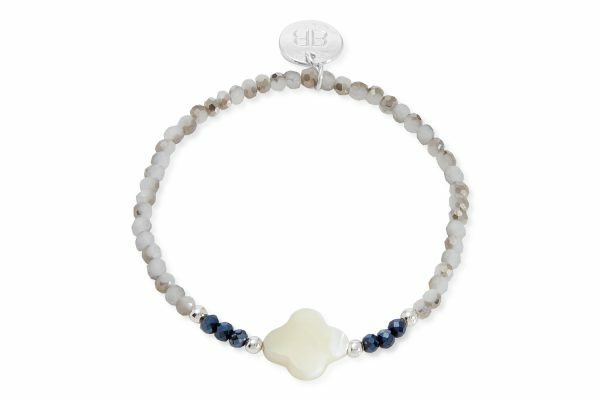 A handmade stretch bracelet with white and navy crystals and white stone clover charm. 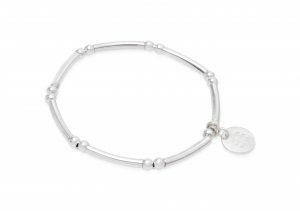 Part of our Festival Collection, this simple but contemporary bracelet is a fabulous addition to our range, brilliant for stacking and layering or worn individually. 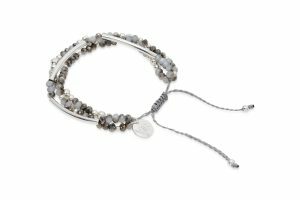 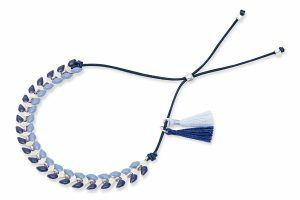 Get the party started and laden your wrists with this perfect bohemian festival ready accessory.